Earning the title of the May 2012 Office Employee of the Month is Kris Richardson. 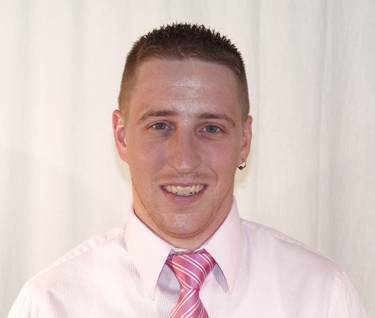 Kris joined Online Stores in July 2010 and has been working in Accounting ever since. His current position is Staff Accountant during which he completes a multitude of tasks that helps a variety of other departments here at Online Stores. Kris is responsible for filing all the invoices that were entered the previous day, which can be up to 450 invoices on any given day. Kris also is in charge of processing all the wholesale orders obtained by the sales department and ensuring that they are processed and shipped in a timely manner. This can sometimes include same day shipping. Once the orders have shipped, Kris needs to keep track of them and process payment, whether it be through charging a credit card or receiving a check payment. He also works on allocating expenses and ensuring they are in their proper classes. Kris enters fixed assets, runs depreciation and amortization, and books their journal entries into the QuickBooks software his department relies on for accuracy and tracking. In the instance that there are accounts that do not balance, Kris works hard to reconcile any discrepancies. Kris also has a variety of vendors that he enters their invoices into EDI, Stone Edge or QuickBooks upon receipt. Kris also focuses on setting up new wholesale customers and helping them fill out their “new vendor” packets and issuing W-9’s to these potential customers. In addition to this, Kris also watches and disputes any credit card charge-back’s he receives. Kris is being recognized for employee of the month because Kris is a very dedicated employee. No matter how much work he receives he is always asking for more. Kris is very eager to learn everything and anything there is to know about Accounting and Online Stores, Inc. He is a go to man with hard questions, especially when it comes to excel spreadsheets; of which he is extremely knowledgeable. He also maintains a great attitude and great attendance. He is definitely someone that we can all count on. Thank you Kris, for all your hard work and dedication!